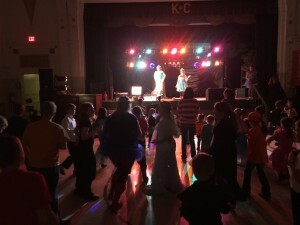 The boys and girls of the community enjoyed a Halloween Dance at SHAS Wednesday, October 28th. 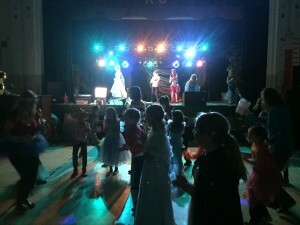 Children dressed in their costumes and enjoyed dancing and good food. SHAS has lost a wonderful member of its family this month, as foster grandparent, Lucille Koval, “Grandma Lucille”, passed away. She worked side by side with our staff and children for the past eight years, helping us live out our mission and our lives the best we could. 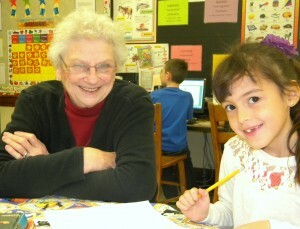 Her warm smile and witty sense of humor will be greatly missed! 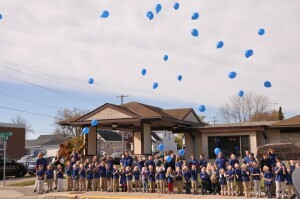 At the end of her October 14th funeral, as she was carried from the church, SHAS students wore their school uniforms, releasing blue helium balloons as a tribute to her presence in our lives. Thank you Lucille for your love! The 2nd Annual Sacred Heart Area School Workathon took place on Wednesday, October 14, 2015, starting at 12:00pm and ending around 2:30pm. 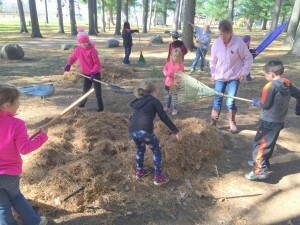 Parents, staff, and students in 1st, 3rd, and 5th grades worked at Pine Grove Park, 4th grade worked at Veterans Park, 2nd grade at Northern Pacific Park, and preschool and kindergarten on the school grounds, picking up sticks and raking leaves and pine needles. This event replaced the SHAS Marathon last year, which in the past, students asked for pledges to ride bike or walk a designated amount of miles. 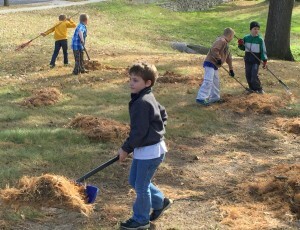 The school wanted to change this practice to incorporate Christian service to God and His creation. The Workathon benefited both the Staples community and Sacred Heart Area School while providing a service experience for our students. 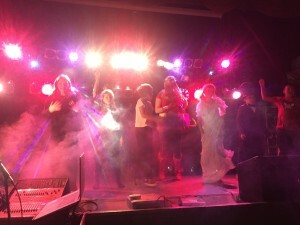 It was enjoyed by all. Thank you families for your service, and raising $9,000 for SHAS! Thank you members of our school and parish families and community members for donating to their efforts!